5.1mmx1.5mm Galvanized Flat Steel Wire is one kind shaped wire with Flat surface. 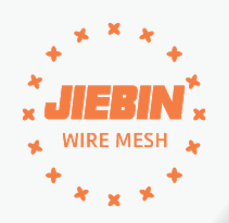 HEBEI JIEBIN WIRE MESH PRODUCTS CO., mainly engaged in production Flat Wire, semi-circular line, triangular wire, Oval Wire. With advanced equipment, superior quality material, rich technical force and perfect service have already attracted many clients from our main market (Europe, America, Germany, Japan, Middle East, Southeast Asia). Material: Low carbon iron wire (galvanized iron wire/ black wire), Stainless steel wire, copper coated wire, Mn65 steel wire, etc. Sectional dimension: Rectangular, square, triangle, semicircle, Oval. Characteristic of Galvanized Flat Wire: Excellent performance, good surface quality, uniform thickness, and high tensile strength after cold working hardening. Application: Flat wire is very widely used in industrial production, such as aerospace guidance system and military alloy flat wire, clockwork timer, automotive wiper skeleton and clothing rack, reed which is widely used in textile industry and textile equipment such as steel heald And Galvanized Flat Steel Wire is also used in building (construction), handicrafts, wire cloth weave, highway protective barrier, product packaging and daily civil products etc. Our factory provides professional packaging to improve the moisture-proof and oxidizing ability during storage, and extend the shelf life. JIEBIN provide perennial large supply complete specifications, no matter the size of the demand, can be produced quickly. Special specification, special wire can be customized! - Free samples will be provide within 1-3days. WELCOME TO CHOOSE JIEBIN & SHARE THE SUCCESS!